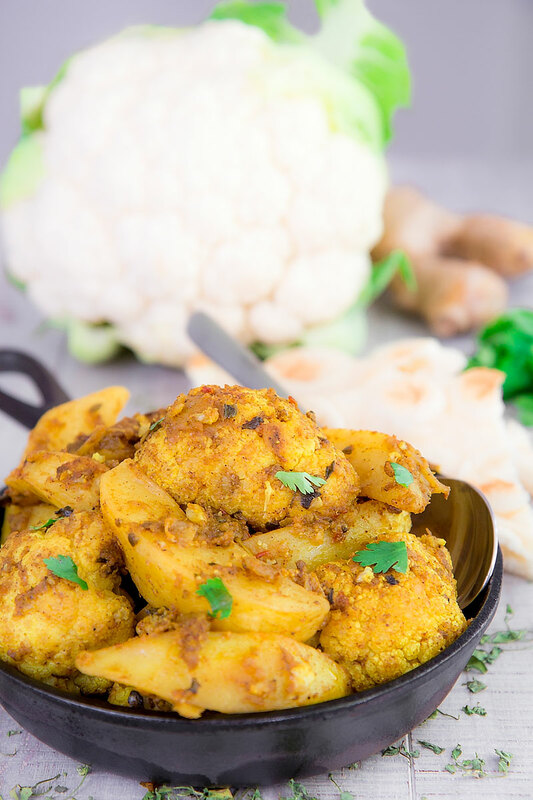 Make traditional Aloo Gobi is not difficult, but requires a wide range of spices. 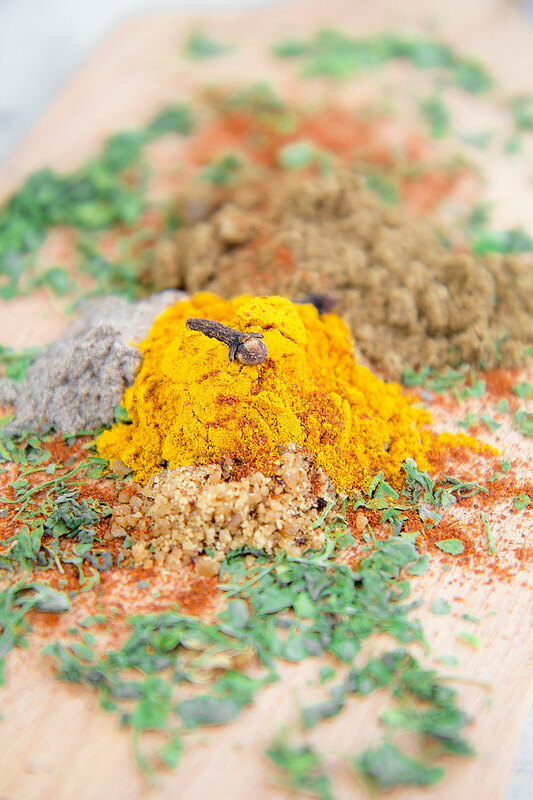 Some ingredients have a taste that isn’t for every palate, particularly asafoetida and fenugreek. Personally, I think they are critical to prepare an authentic Aloo Gobi, but depending on your taste,consider whether or not to use them. 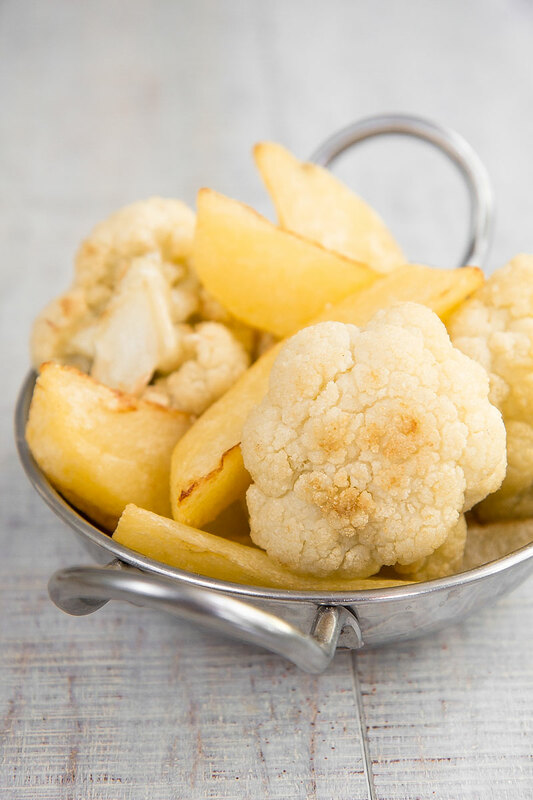 Commonly the potatoes and cauliflower are previously deep-fried, but some chefs prefer to saute them before finishing with the other ingredients. 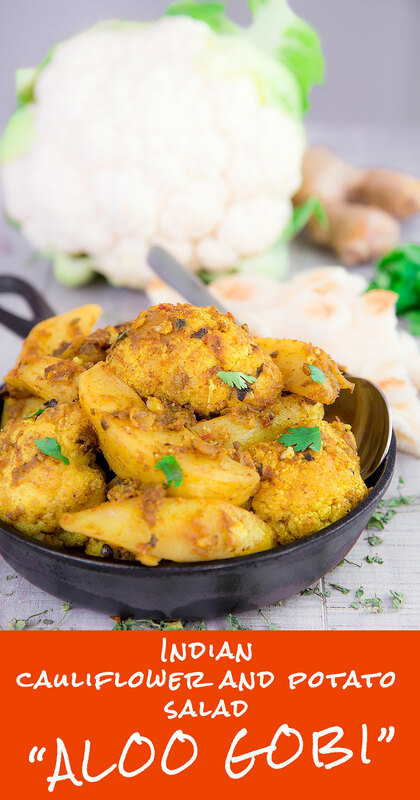 Aloo gobi is traditionally prepared either with Ghee or vegetable oil. The Ghee (Indian clarified butter) gives a characteristic taste to this recipe. 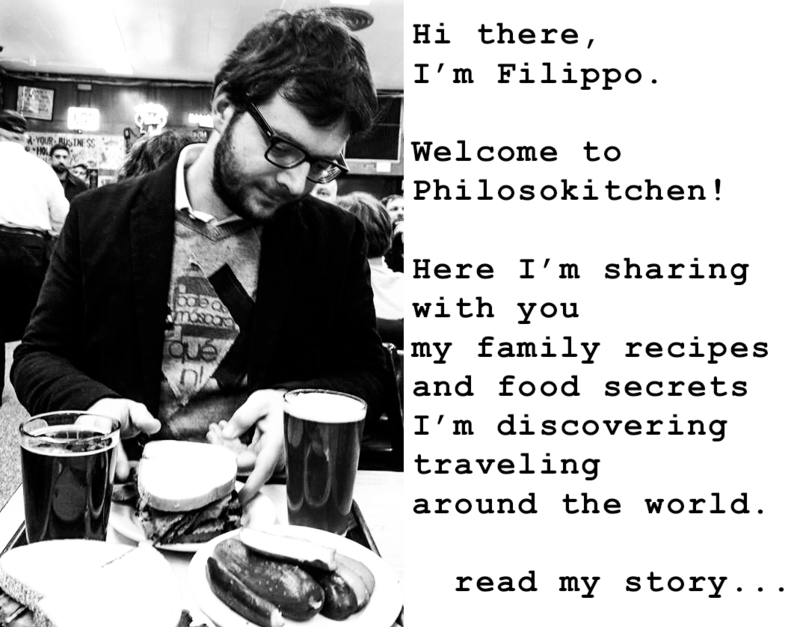 If you want to try to make homemade clarified butter, here there is my recipe. Otherwise, for the vegan Aloo Gobi, just replace the butter with vegetable oil, it will be delicous as well! 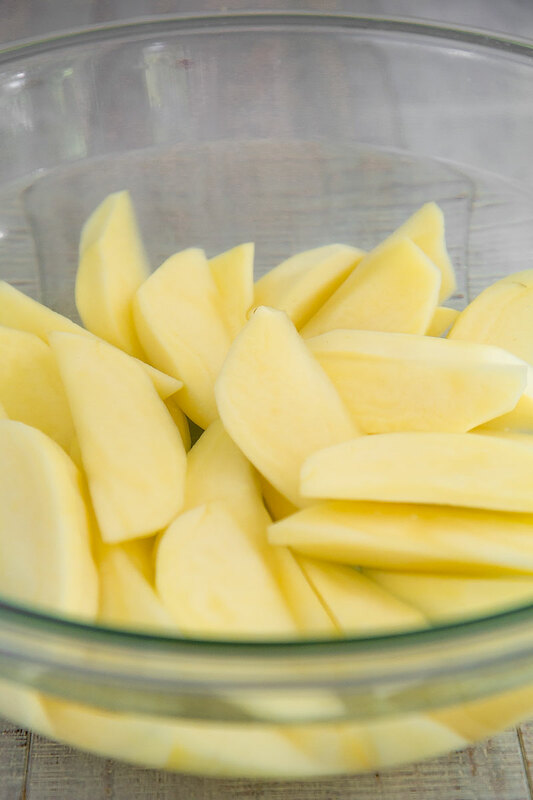 First, peel and cut the potatoes into wedges. After that, rinse the vegetables and soak them into hot water. 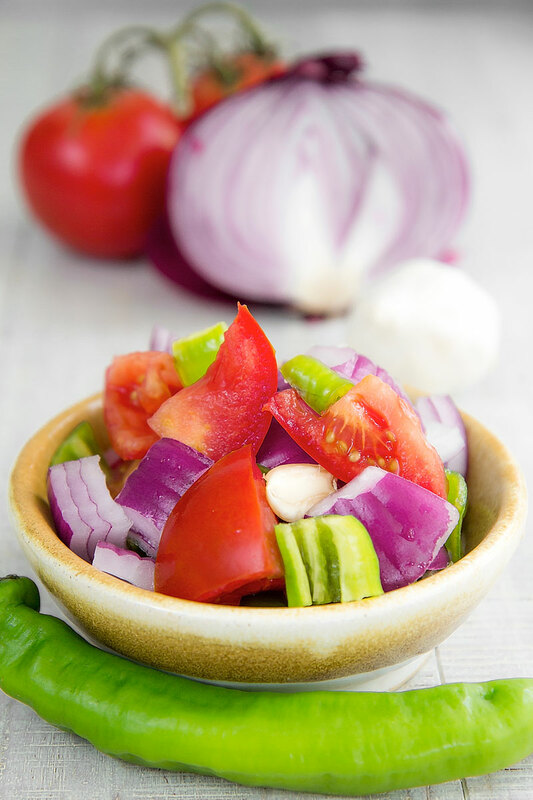 After that, chop the tomatoes, the green pepper, the onion and the garlic, then mix with a blender. Now, rinse the potatoes one more time, then dry them entirely with a kitchen towel. Rinse and dry the cauliflower florets as well. 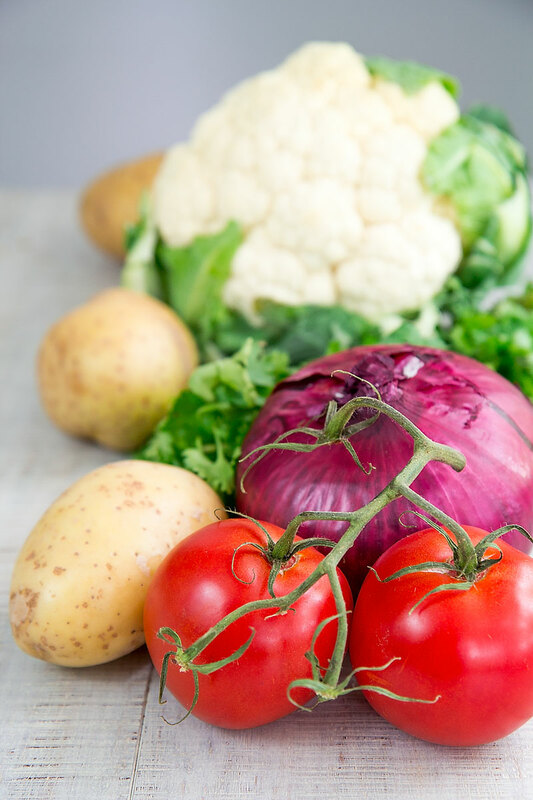 At this point, heat the vegetable oil into a deep pot until reach 340° F (170° C), then deep fry the potatoes and cauliflower a few pieces at a time until golden brown. Eventually, place the vegetables over paper towels. 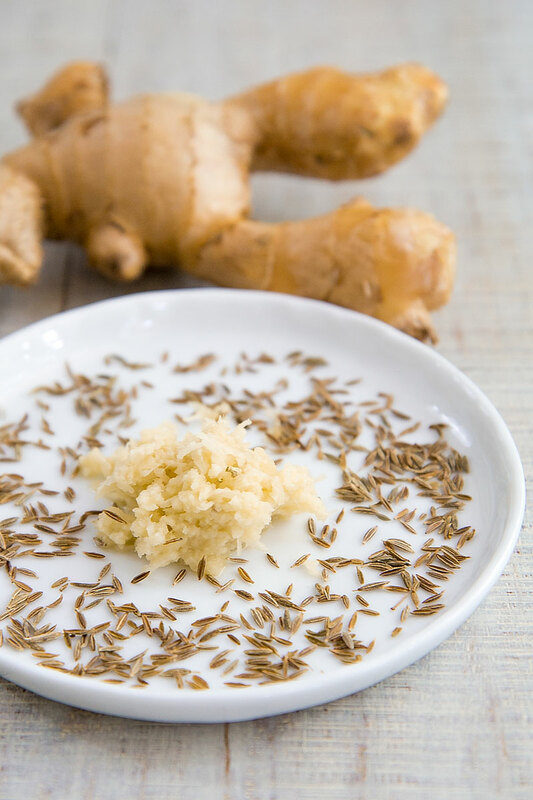 Pour 2 tbsp of clarified butter or vegetable oil in a big saucepan, then stir-fry the grated ginger along with the garlic, and the cumin seeds a few minutes. Now, add the potatoes and all the powered and dried spices. Stir-fry a couple of minutes more, then add the vegetable mix. 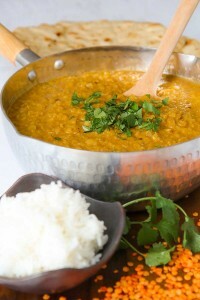 Cook 30 minutes more, stirring as needed, then add the minced fresh coriander, and serve.